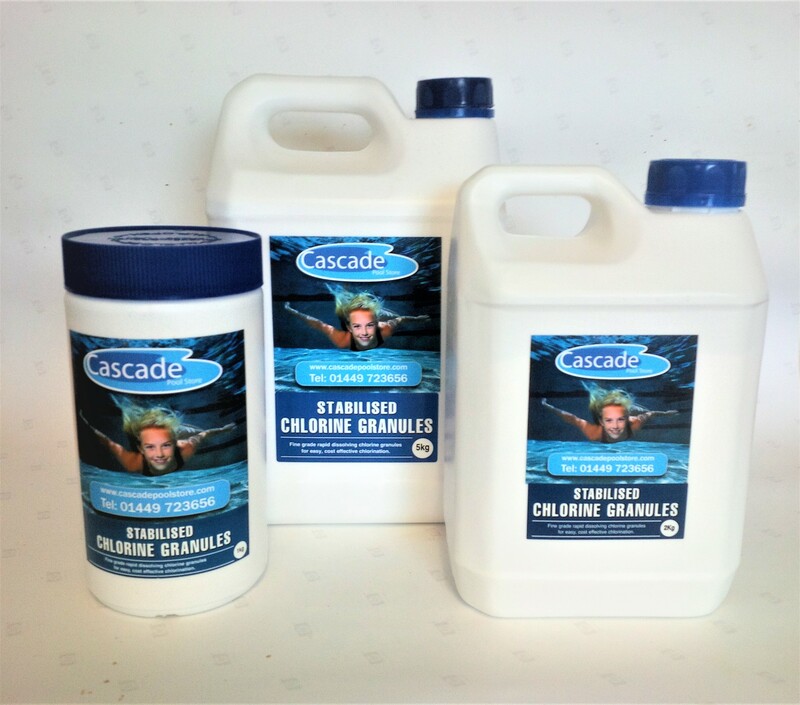 The most common way to kill bacteria in your pool and keep your swimming pool water healthy is to use chlorine. 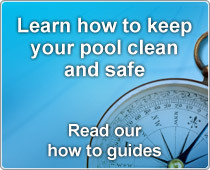 Before using chlorine, it is important to have a correct water balance first. Once this has been achieved, chlorine levels between 1.0-3.0 mg/l should be satisfactory to preserve bacteria free swimming pool water. 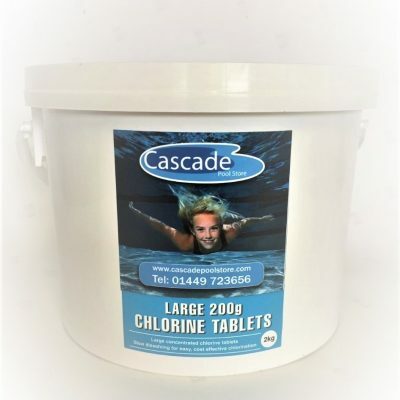 There are two ways to tell if your pool is a well-managed chlorine treated swimming pool is that it will have no odour and the level of chloramines will be less than 0.5 mg/l. 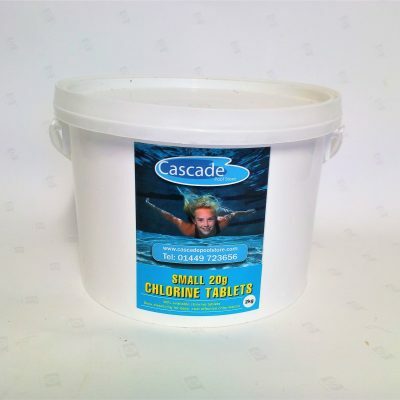 Here at Cascade Pools we have a wide range of swimming pool chemicals for you to choose from to suit your swimming pool requirements. 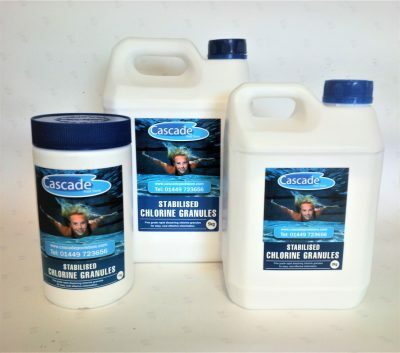 Application Instructions: Maintain pH level within the ideal range of 7.2 – 7.6 and free chlorine residuals within the range of 1-3 mg/l (ppm) for pools and 3-5 mg/l (ppm) for spas. This product may be applied directly to pools and spas where temperatures exceed 20 degrees Celcius. If below this temperature or in doubt pre-dissolve this product in a clean plastic container at a maximum rate of 100g per 2.2 gallons (10 litres) of water. Stir well to ensure the product is fully dissolved then add the solution to the pool or spa whilst the pump(s) are turned ‘on’. It is recommended that you periodically (e.g. weekly/fortnightly) shock or oxidise your water to eliminate any excess contamination. 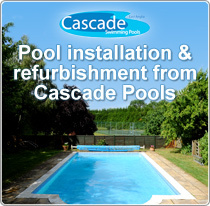 NOTE: In hot weather, high pool use or heavy rain the pool may require a higher daily dose rate. 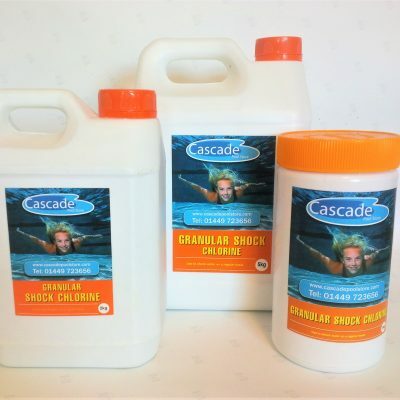 To be used for daily disinfection of your swimming pool or spa.